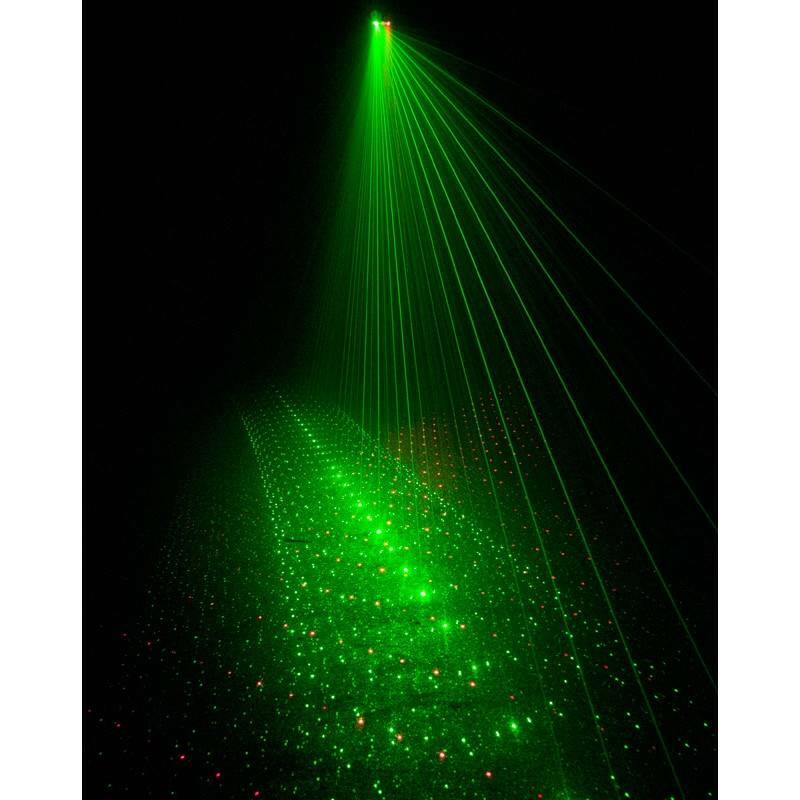 The ADJ Micro 3D II produces more than 200 green and red laser beams that rotate back and forth creating amazing effects that can be projected on a ceiling, wall or dance floor. 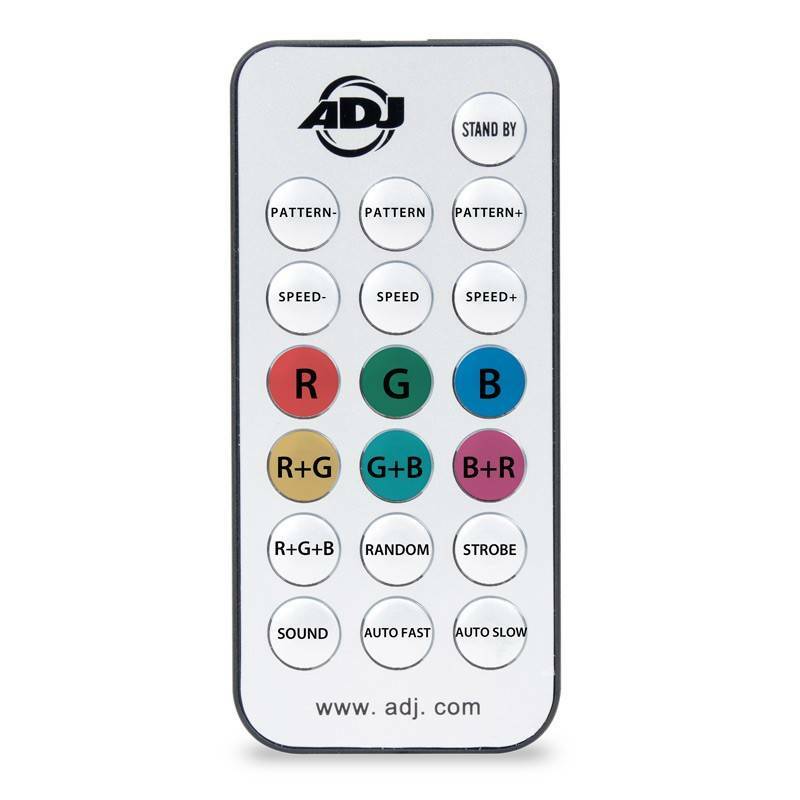 The compact, light weight case design makes it ideal for mobile entertainers, bands, night clubs and bars or any party goers! 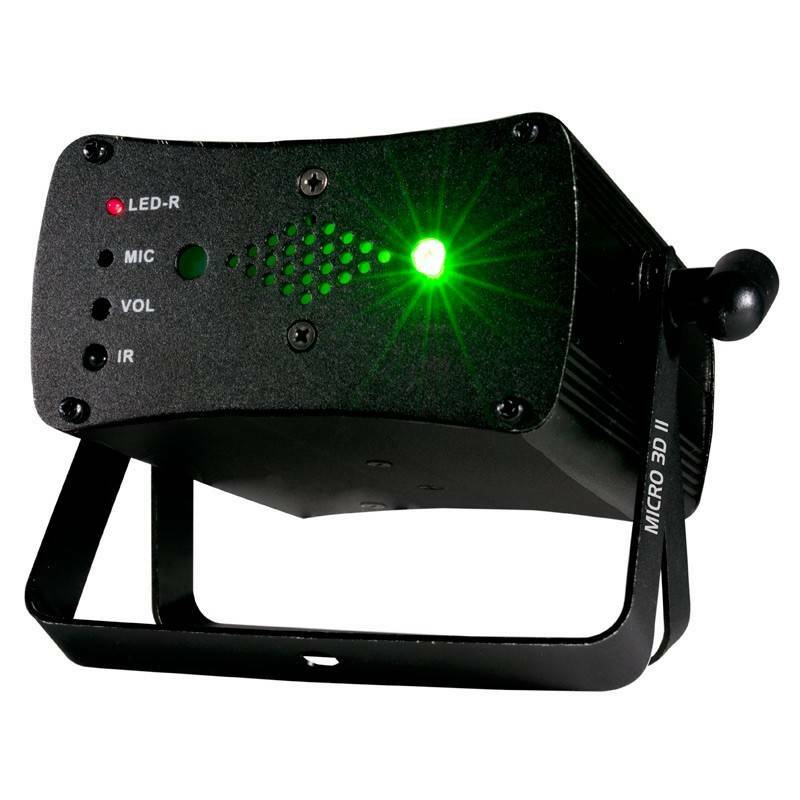 Includes the UC Laser IR wireless remote center and one transmitter for the Airstream IR App for iOS devices. • Weight: 2 lbs. / .91 kg. 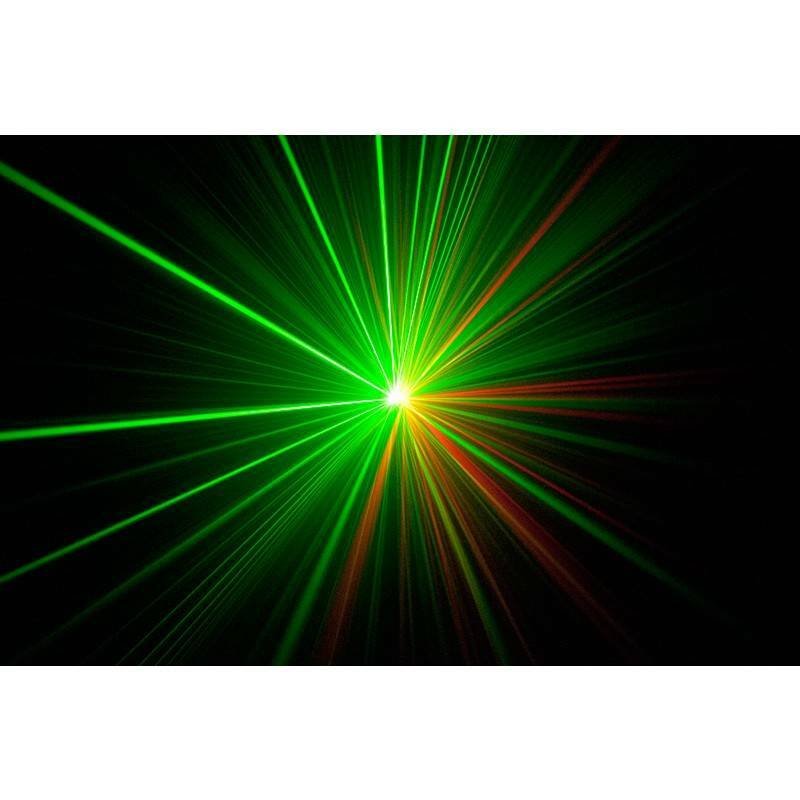 *Please note: This laser effect is for DJ and home use, not intended for commercial use.